Below is a list of workshops that I hold or present at throughout the year, so dive in and make a splash with me! 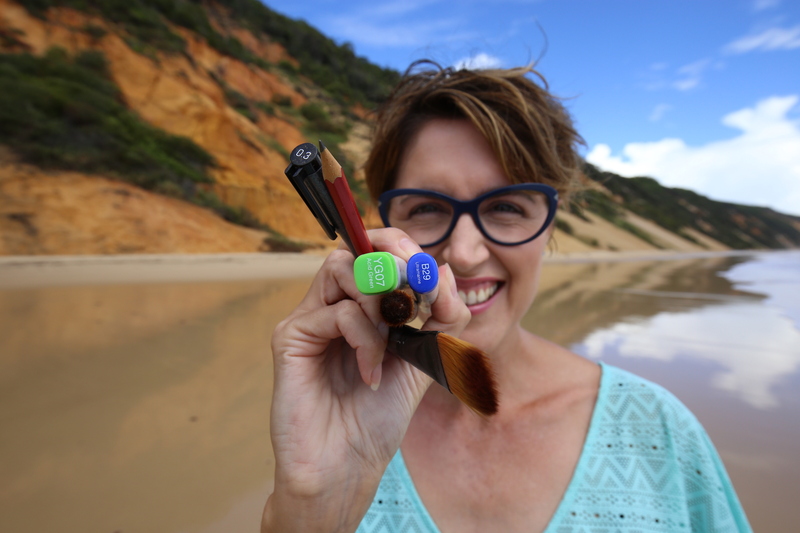 Please Contact me if you would like further information about my Workshops and if you would like Dr Suzie Starfish to visit your School, Kindy or Group. 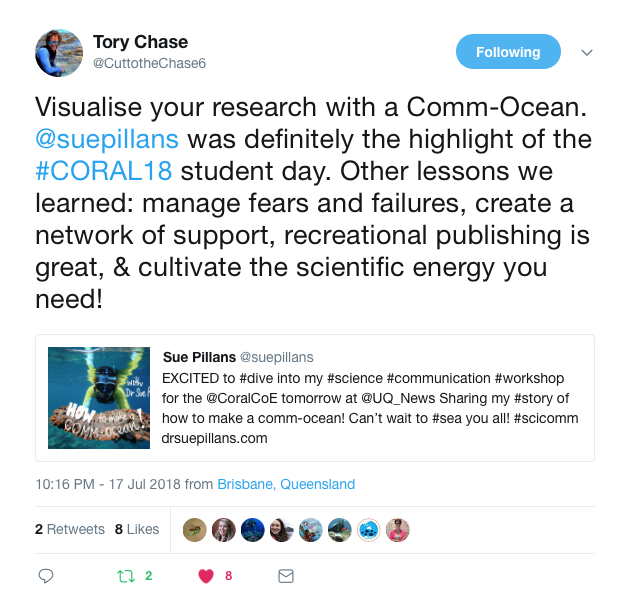 Drawing on my experiences as a marine scientist, government policy-maker, artist and visual storyteller I now hold in-house Science Communication Workshops for scientists and researchers, policy-makers, students (of all ages) and anyone wanting to learn more about how they can make a comm-ocean! Communication in this digital age of data, swipes, likes and follows needs to stand out if you want to have meaningful engagement with your audience. Science communication today means more than just increasing knowledge, your messages need to tell a story, hook people and reel them in! For more information about my Science Communication and Visual Thinking workshops please Contact me. 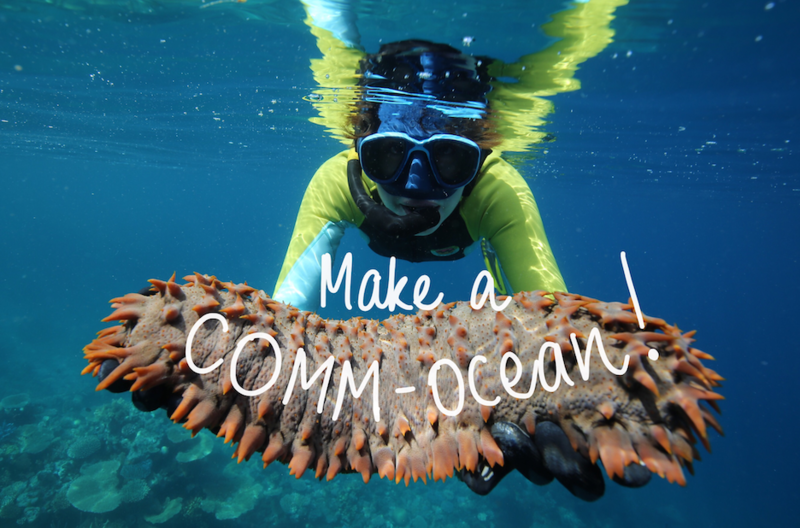 What a great time I had making a comm-ocean with the reef scientists of the Centre of Excellence for Coral Reef Studies! 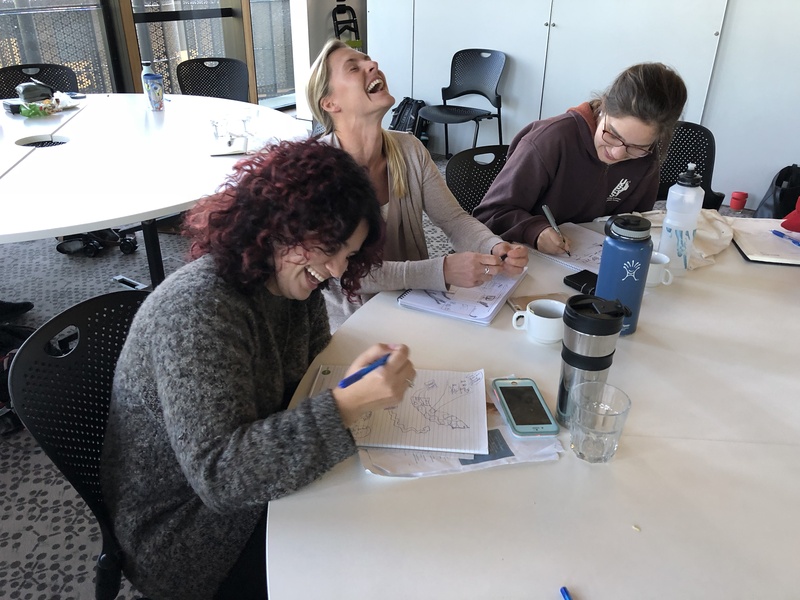 This workshop focused on the art and science of marine storytelling so these inspiring scientists could share their reef science with a broad audience (other than scientists). 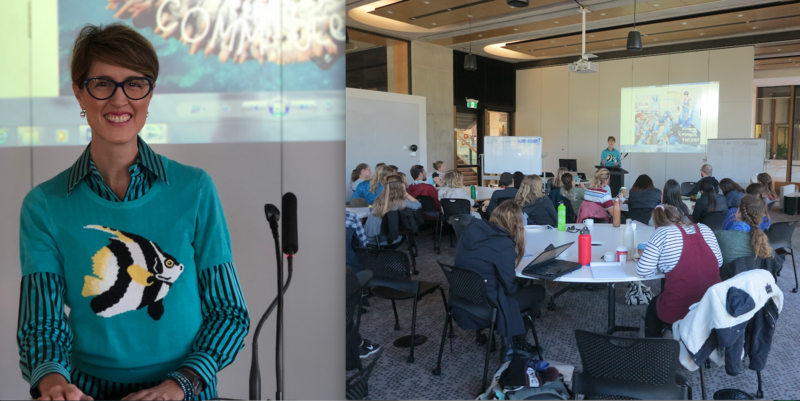 I shared my experiences of communicating marine science with policy and decision-makers, school students, community and stakeholders and introduced the group to my world of visual storytelling. 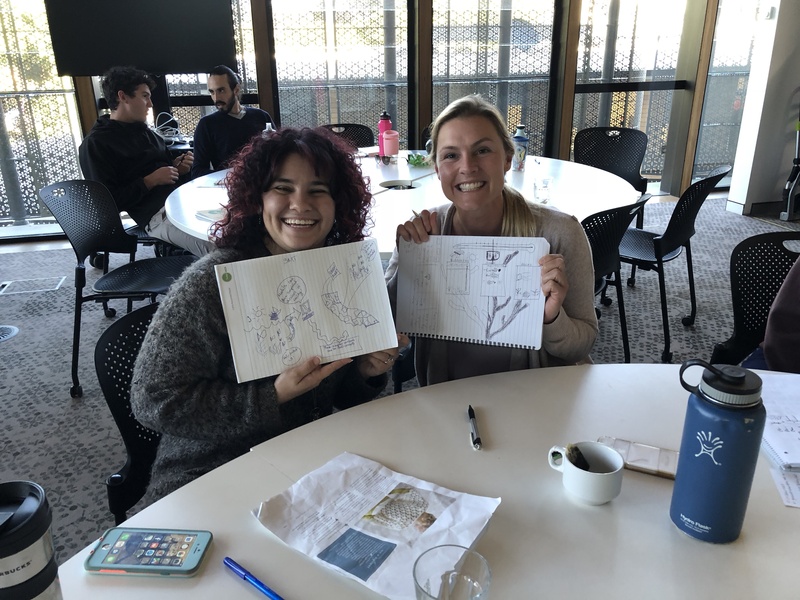 I then took the postgraduates through the steps to visualise their science using sketchnotes, as sketchnotes are a great way to help synthesise, structure and share your science. 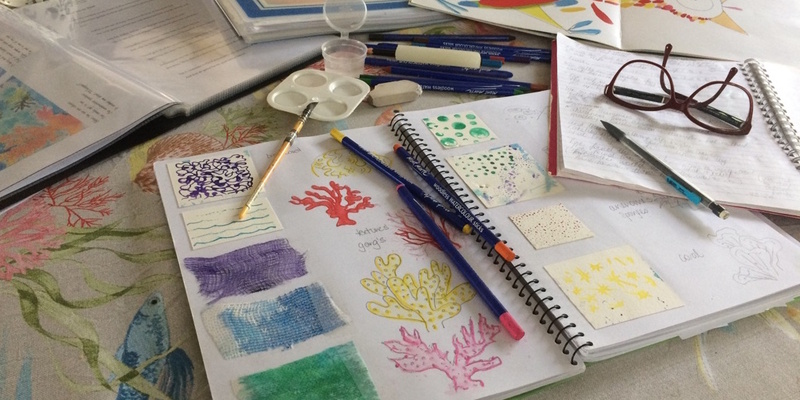 You can ‘sea’ more of the reef sketchnotes over at Sketchnote your Science. And as you can see from the photos and fin-tastic feedback below we had a great time together making a visual comm-ocean!! I was excited to present at the “Words and Pictures Workshop for Author/Illustrators” hosted by Michelle Worthington of Share your Story. 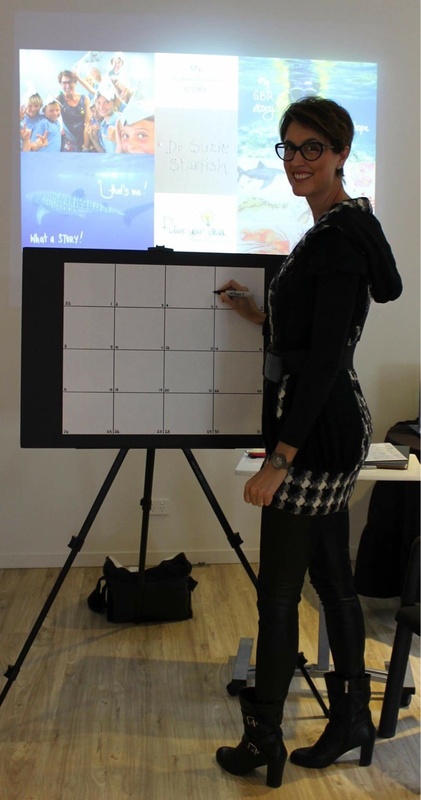 I shared my story through a ‘Storyboard’ of my words and pictures about how I have followed my saltwater heART to become a published Author/Illustrator — about the upcoming release of my debut kids picture book about our Great Barrier Reef. Such an inspiring day with this very talented bunch! 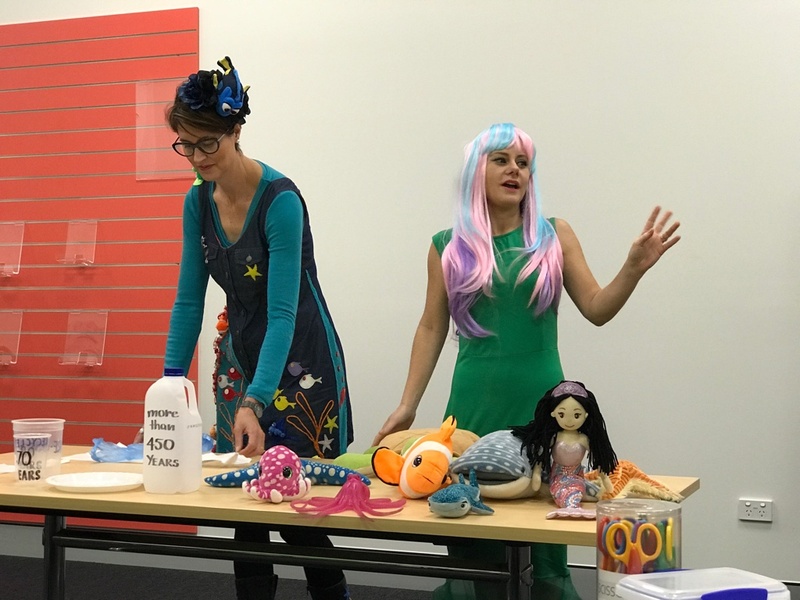 Dr Suzie Starfish and Mermaid Michelle, award-winning children’s author Michelle Worthington, hold “Under the Sea” writing workshops with a difference! 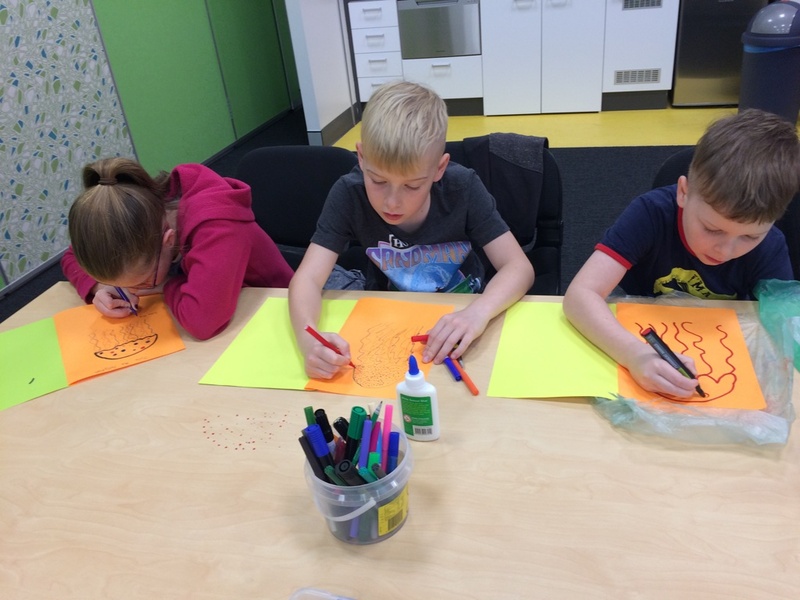 Designed for children of all abilities who have an interest in making up stories and learning about science, these workshops are an interactive experience with storytelling, story writing and STEAM activities. 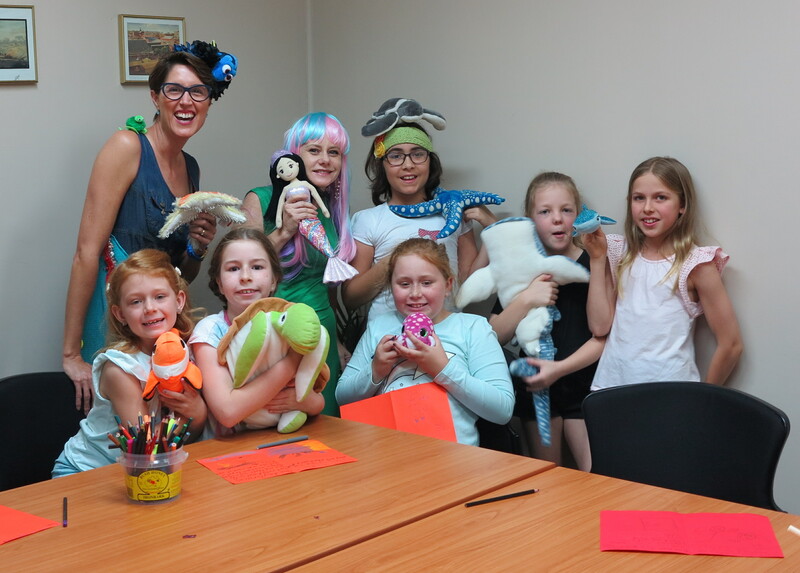 Children are encouraged to dress up and join in the fun with the hour-long session to engage children in creative thinking and arts and crafts Under the Sea. We will be wearing our ocean outfits and we can’t wait to “sea” you at our next workshop (upcoming workshops will appear below soon…). You can find out more about my kids picture book writing and illustrating at my Picture books. 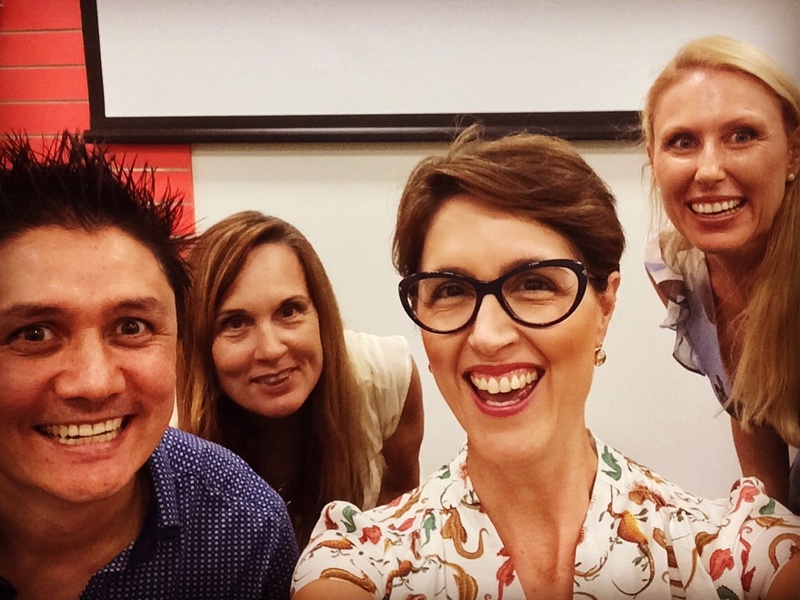 I was delighted to be one of the presenters at the Children’s Author and Illustrator Seminar, as part of the Share your Story 2017 series of professional development workshops, hosted by Michelle Worthington. 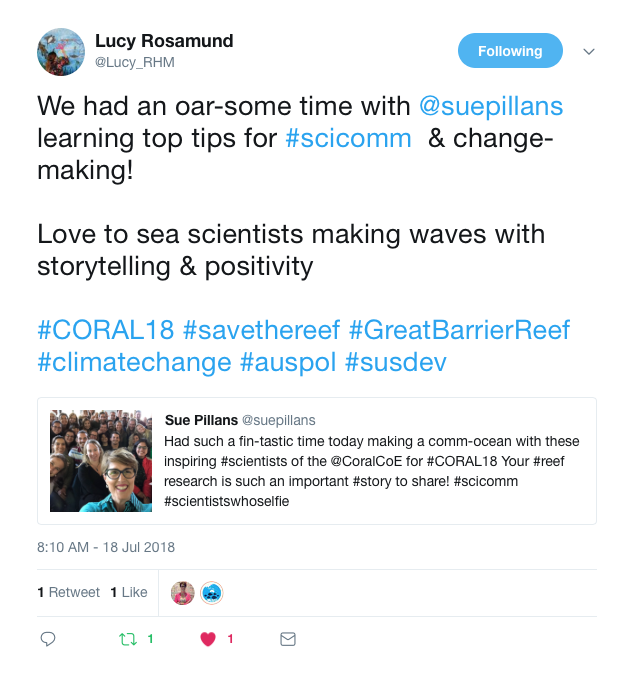 I shared my story of becoming a published kids picture book author/illustrator of science stories of the sea – via live sketchnoting! As you can ‘sea’ from the photos we had great day together sharing our stories! 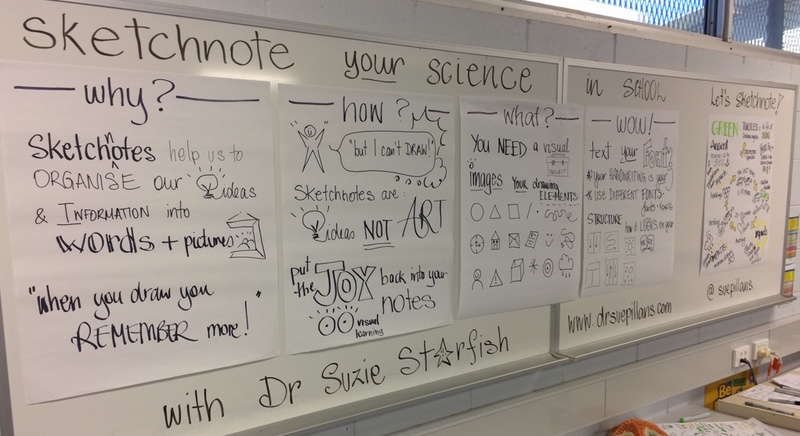 I hold Sketchnote your Science workshops in schools for students and teachers (but not limited to schools or educators) to help visualise SCIENCE and learning. Sketchnotes are visual notes created from a mixture of hand-drawn words and pictures which can include visual elements of typography, shapes and lines. Drawing is thinking so this technique helps to make learning and science visual. Because…“When you draw you remember more!”. 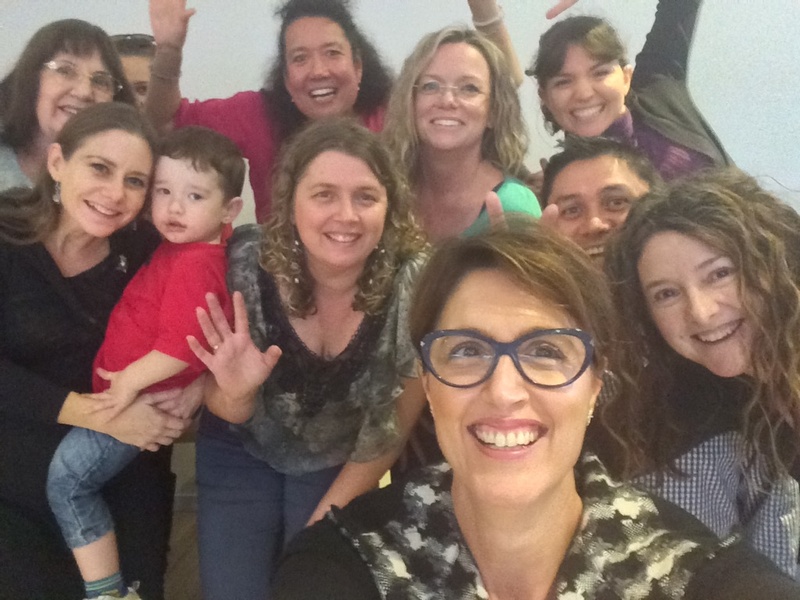 My in-house workshops are tailor-made to the school (aligned to the Australian Curriculum), groups, teams and organisations. 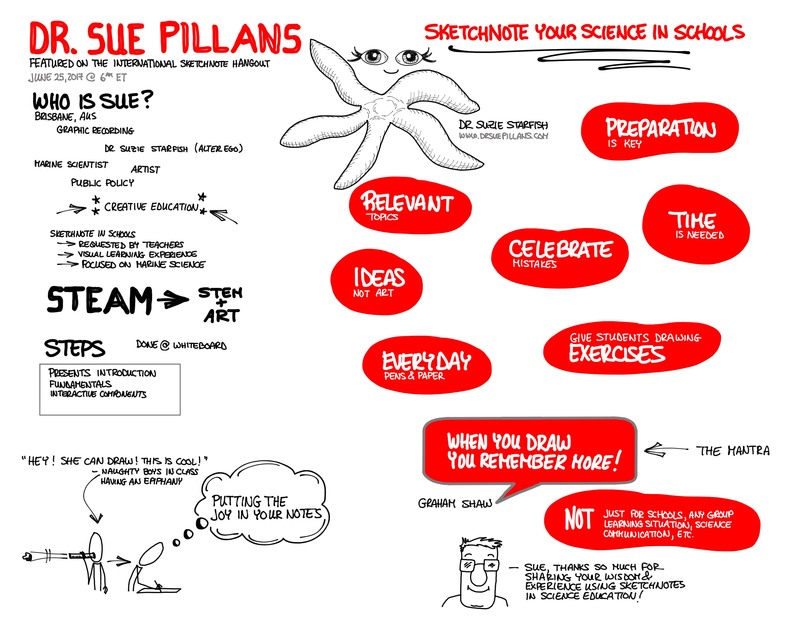 From time to time I am also invited to share my Sketchnote your Science experiences online. 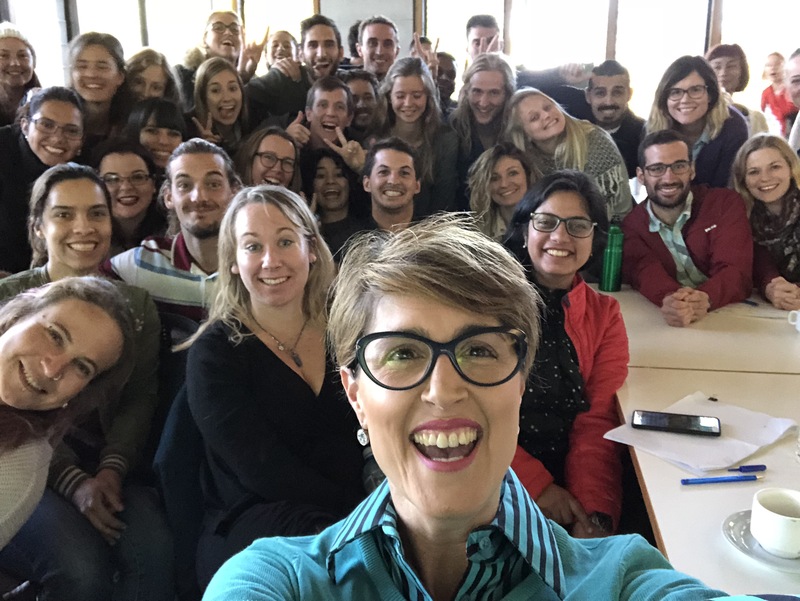 For example I was honoured to host an International Sketchnote Hangout (#29) to talk to the sketchnote community and educators about my experiences and journey to “Sketchnote your Science in Schools“, which you can see more at Sketchnote Hangouts. You can find out more about this VISUAL learning technique at my Sketchnote your science. 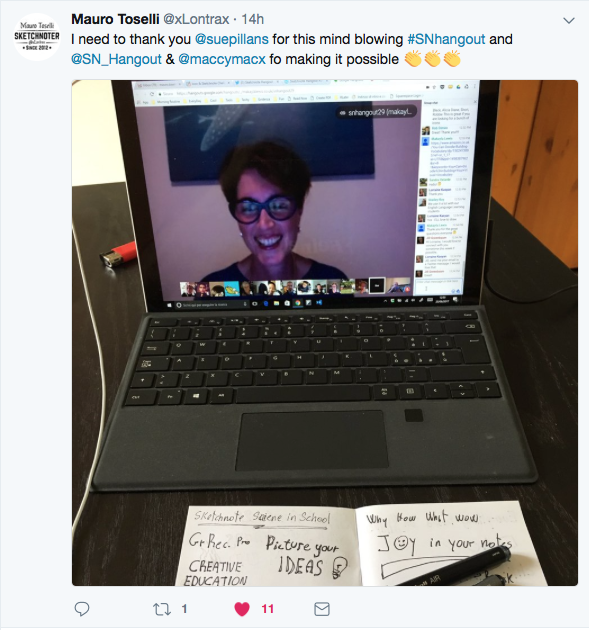 I love an opportunity to share what I do with others, particularly in a social situation where people can talk, share and ‘draw out’ their ideas. 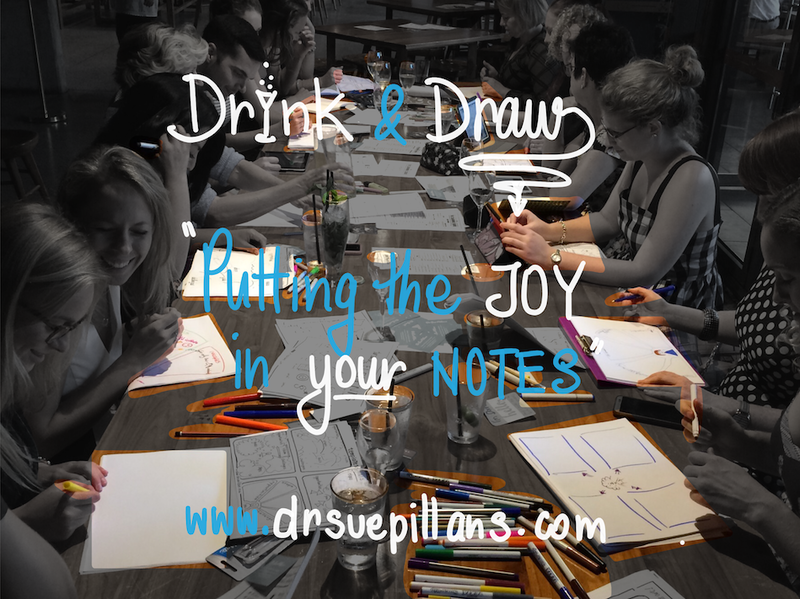 As one of my goals is to be part of and support Creative Collaborations I decided to hold my first Drink & Draw in Brisbane to help people “Picture their goals” for 2017. And what a great night we had with plenty of pens, paper, iPads and a few drinks = some great sketchnoting and a lot of laughs! 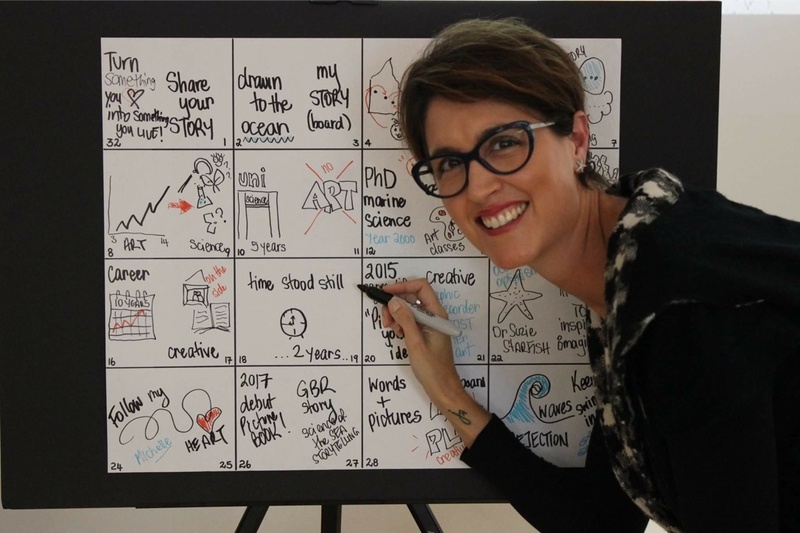 Please Contact me if you are interested having me host a social Sketchnoting MeetUp for work or play. if you would like to attend or engage me for a creative Workshop.